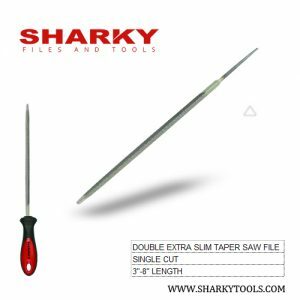 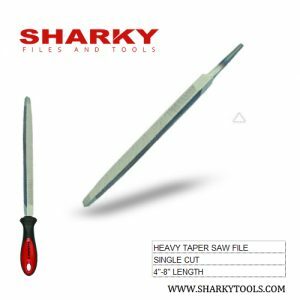 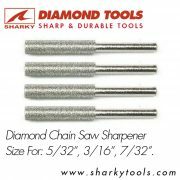 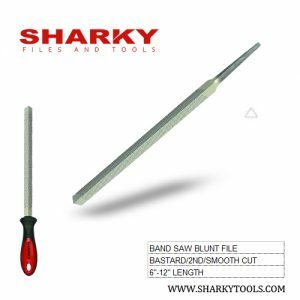 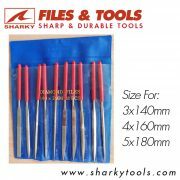 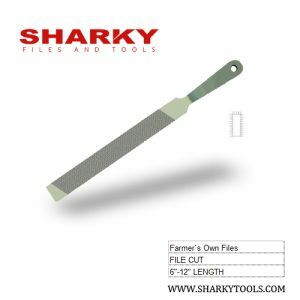 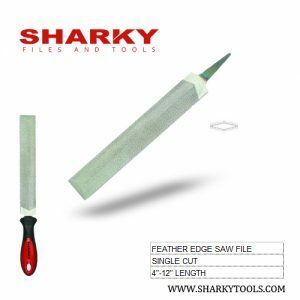 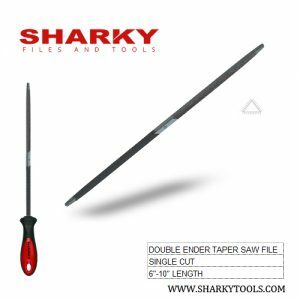 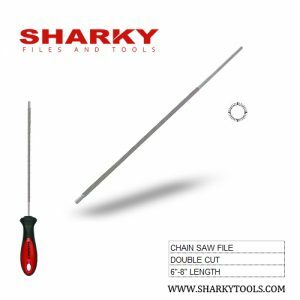 This triangular file with cut edges or corners is especially designed to sharpen narrow band saw teeth and maintain round gullets. 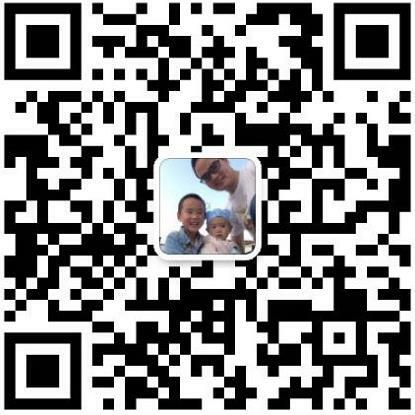 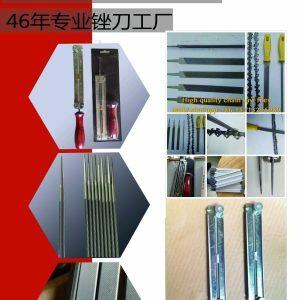 Single cut. 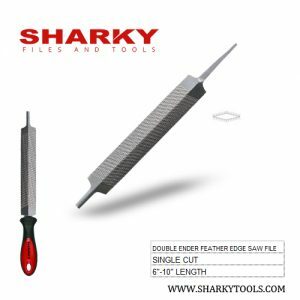 Edges set and cut for filing gullets between saw teeth, Usually used for band saw sharpening work. 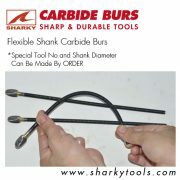 Sides and edges are single cut from points to center giving full use of all file. 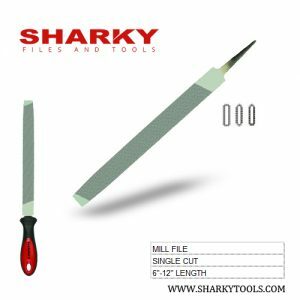 Mill saw files are suitable for workshops and sharpening mill or circular saws.